Renato Vigezzi is a Partner at Accuracy. He specialises in transaction support, recovery services and valuation. 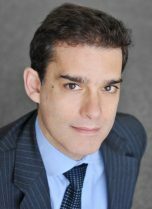 Prior to the founding of Accuracy’s Italian office in 2008, he gained experience in Financial Advisory Services and Audit within the Big Four. Renato has extensive experience of conducting transaction support including providing financial due diligence, valuations, price adjustment support, purchase price allocation and assessment of warranty clauses of agreements, for both private equity and corporate clients. He worked in acquisitions, disposals and LBOs projects. Furthermore, Renato has a broad range of experience with international projects, in both transactions and restructurings. The work regularly includes assisting with strategic decisions and the preparation of business plans. Renato speaks Italian and English. Renato has been involved in several buy-side and sell-side due diligence engagements, business plan preparation and valuation in the context of transactions. Additionally, Renato has been involved in various corporate recovery engagements, including performing Independent Business Reviews (IBR), modelling in the context of restructuring and due diligence of distressed companies. His main sectors of expertise are: industrial, fashion, real estate. Modelling activity, business plan preparation and financial due diligence for international investors in the contest of the potential acquisition of a Italian railway company. Due diligence in the Real Estate sector for several players. Several financial due diligence engagements for an Italian asset management company. Buy side due diligence for a luxury goods retailer group. Independent business review and sell side advisory of a leading security and surveillance service provider. Business plan preparation for a private equity investment fund. Business Plan preparation of a restructuring procedure in the paper mill industry. Several engagement preparation in restructuring (art. 67 l.f.) in different industry sectors such as real estate, industry machinery and equipment, media, food care, personal care and furniture. Valuation activity of a healthcare and infant care products distributor, a high-end lighting company, a high quality furniture company and a resort for an Italian private equity firm. Valuation of an Italian women’s footwear company and an Italian menswear company for a global luxury group. Purchase price allocation of the goodwill of an Italian healthcare and infant care distributor, a high-end lighting company and a high quality furniture company.